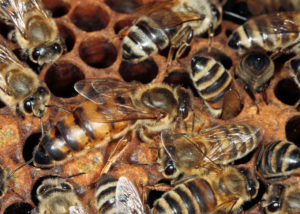 A close-up of a honey bee queen inside the hive. Did you know that the average worker bee lives for just five to six weeks? During this time, she’ll produce around a twelfth of a teaspoon of honey! Two million flowers have to be visited to gather enough nectar to make one pound of honey! 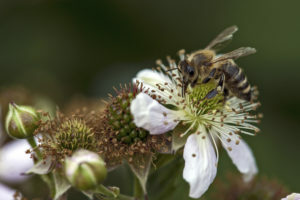 4-H youth are invited to explore more about the fascinating story of the hardworking honey bee by participating in the North Carolina 4-H Beekeeping Essay contest. The essay provides a platform for youth to creatively express their working knowledge and research of the craft of beekeeping. The 2019 Essay Topic is “Honey Varietals, State to State” Each jar of honey reflects an unrepeatable combination of climate, soil, weather, and flowers. Each state has unique honey varietals that beekeepers can market to their customers. Please identify one unique varietal to your state and discuss the flower’s uniqueness and how beekeepers can effectively market that varietal. 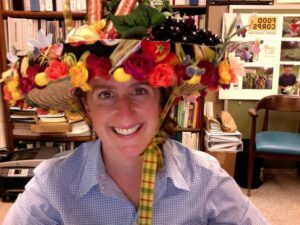 In your essay, please include a photo of the varietal’s flower, an interview with a local beekeeper who collects this varietal and a recipe that highlights the varietal. For more information visit the website or download this pdf for essay guidelines. Essays are due February 15 at 5 p.m. and should be emailed to Liz Driscoll, 4-H Entomology Specialist at liz_driscoll@ncsu.edu. Please let me know if you have any questions!